JD Power customer satisfaction study, rate a company at a scale of 1,000 points on the basis of Service Intimation, Service Advisory, Service Facility, Vehicle Pickup and Service Quality. According to the study, TVS scored a total of 773 in the customer satisfaction index, while Suzuki scored 764 and Royal Enfield 758. Yamaha scored 757 followed by Honda at 750, all above industry average of 748 points. Hero MotoCorp scored 742 points, Bajaj Auto 738 and Mahindra 738, all below the industry average of customer satisfaction. Passenger vehicle sales in 2015-16 stood at 2,789,678 units as compared to 2,601,236 in 2014-15. Commercial vehicle too increased by 11.5%, mainly on the back of M&HCV segment which grew by 30% during the last fiscal year while LCV segment remained flat with just 0.3% increase in sales. On the basis of good economic growth, favorable monsoon in this season and benefits of 7th Pay Commission, Credit rating agency ICRA estimates that Indian passenger vehicle industry is likely to grow by 8.5-9.5% in 2016-17. In the same lines, M&HCV will witness growth of 13-15% in 2016-17. Similarly, LCV may back on track. Governments plan to retire old vehicles of 15 years and above is a news of past, it is currently working on planning an incentive scheme to excite owners to voluntarily retire their old vehicles. Now the auto industry is also baking the government’s decision by offering direct discounts over above government’s incentive scheme. Government as per latest reports is awaiting a final plan of action from its authorized agency for retiring old vehicles. A person who opts to retire his vehicle will get a certificate from registered scrapyards, which could be used to avail incentives (such as tax rebates) from the government. Meanwhile respecting the demand from the government the automobile industry will also be offering additional benefits over and above the government incentives like discount on purchase of new vehicle if a person provides the certificate of scrapping to the dealer. This new move is intended to enable the entry of cleaner vehicles on the roads that emits less pollution when compared to the old ones. Also the move when implemented will also increase the demand for new vehicles all around the country as large number of people will opt to change their old car amid the incentives they will be getting. As per the words of the ministry officials the policy will still take around 6 months to get implemented in full swing. While the policy is still a work in progress you can in the meanwhile sell your used vehicles at Shriram Automall anywhere in India. The company follows an easy process to buy or sell used vehicles in India through their transparent bidding platforms. Buying used car is now made easy by Shriram Automall. The company offers widest range of used car under single roof, with other allied services like parking, documentation, valuation etc. In 2015-16, Maruti Suzuki India (MSI) posted 10.6 per cent increase in sales at 14,29,248 units, out of which 1,23,897 units were exported. Its net sales were also the highest at Rs 56,350.4 crore, beating the previous best of Rs 48,606 crore in FY2014-15. The company hopes to grow in double digits in 2016-17 by focusing on increasing its manufacturing activities and localization through more vendors. Now the company plans to spend 4,400 cr as CAPEX to keep the momentum. 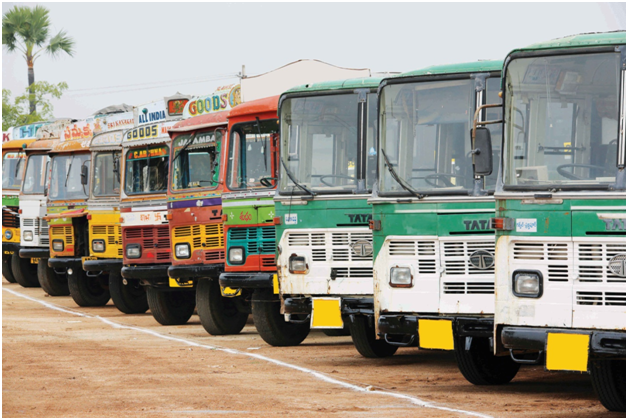 After a sharp fall of 11.55% in 2014-15, Light Commercial Vehicle segment has grown marginally by 0.30% in 2015-16 to sale 383,331 units against 382,193 units in 2014-15. In CV segment, Eicher Trucks & Buses, India’s fourth biggest commercial vehicles player posted growth of 26 per cent, compared with industry’s average growth of 12 per cent. Now the company is looking to enter in the mini truck segment to compete with Tata Ace, warhorse of the segment. A tractor when purchased has to be maintained really well in order to get the maximum out of it and increase its life by couple of extra years. Maintenance Schedule – This will give you the exact time for routine interval including engine, transmission and hydraulic oil change. Specification – a table format arrangement to give you the detailed information about the type of fluid for transmission, hydraulic system, brakes, and engine coolant etc. In case of small farms & gardens they do not have the cabin to protect the seats, instrument panel & other metal components. It’s a good idea to park your tractor under shade or at least protect it from rains. Tractor usage is always measured in hours not in miles, so the actual amount of use may be deceptive. Check the user manual on how each fluid is checked. 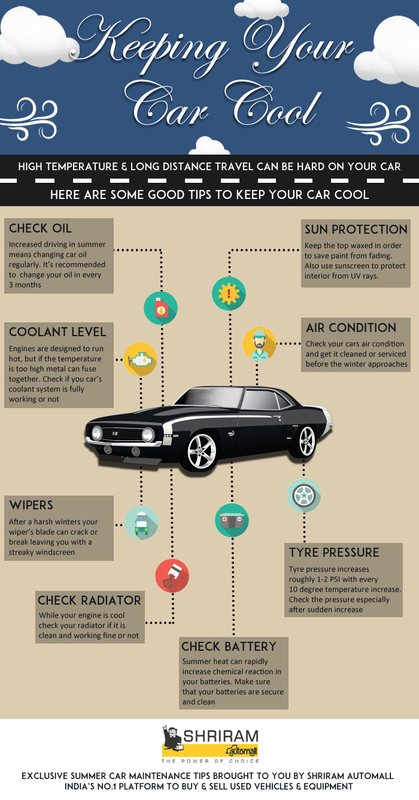 Check the engine oil, transmission fluid, coolant in the radiator, hydraulic oil, and battery electrolyte. Your tractor may be fitted with hydraulic system & it may have high pressure hoses and failure of this fluid instrument can cause component (hydraulic pump) failure. If fittings or connections are leaking, tighten them or replace the seals. Tractor maintenance requires numerous wrenches and other tools in larger sizes than for automobile maintenance, so plan to buy or borrow the tools you need. With this effective tractor maintenance tips we are sure your tractor will live the extra life & give you good returns. 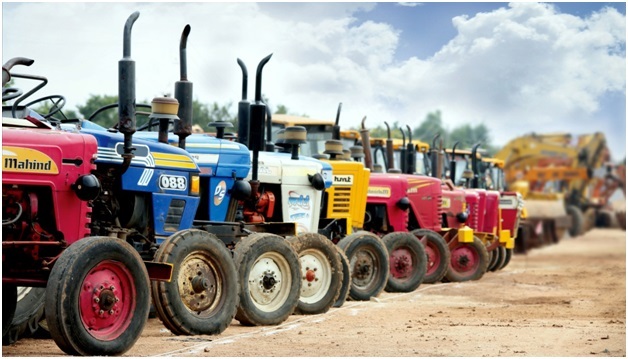 Meanwhile if you are looking to buy a used tractor, you may visit Shriram Automall the company offers widest range of used tractors at competitive price. When it comes to buying a used commercial vehicles, you need to be on your best to strike a great deal rather than ending up being a loser. Buying a used truck is a great way to kick your business also you can upgrade your existing fleet of trucks with new models. At Shriram Automall we offer widest range of used commercial vehicles at competitive price to choose from. Here we bring you some professional tips for buying a used truck easily. Check Truck Oil – not just the oil level, here we are talking about the oil condition that can tell more about the health of the truck. A well maintained truck will have its oil checked regularly for signs of contamination, metal traces or antifreeze. Check for Rust – this one is common but it is also easy to ignore, make sure you are vigilant in checking for any rust on the truck as it can make your investment worthless. Surface rust can usually be fixed but structural rust, for example around the frame, may spell inevitable doom for the truck. 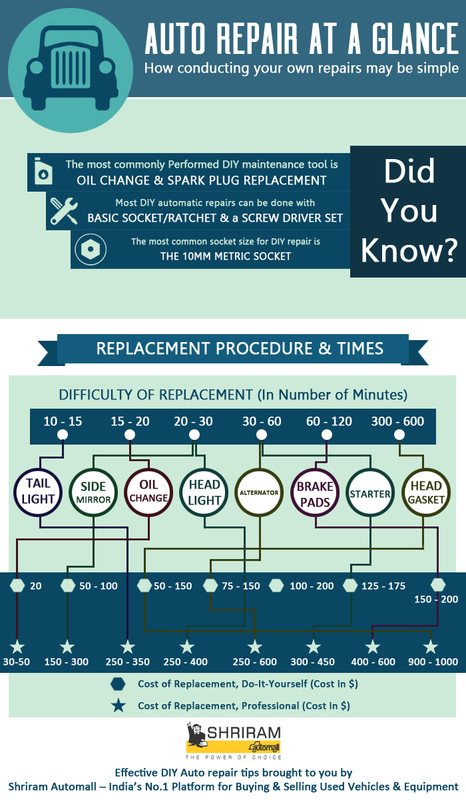 Check the service records – these records can tell you a lot about a truck, check the repair history to analyze any repeat problem which can turn out to be expensive later. 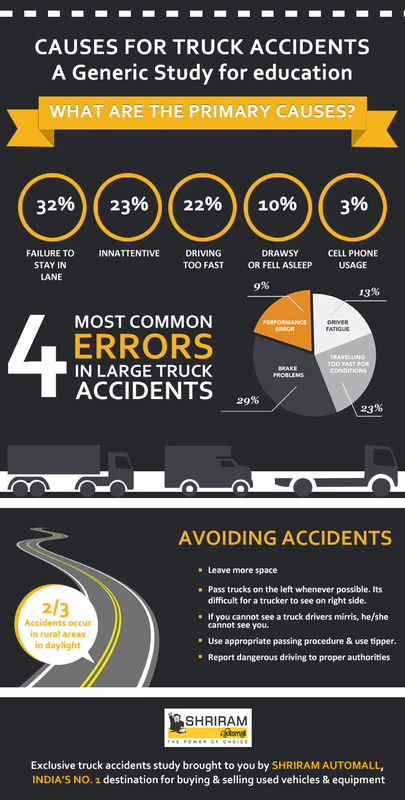 And be extra cautious of trucks with no service record at all. Check for financial assistance – ask for this option before placing your bid on. At Shriram Automall we offer easy finance option through our parent company Shriram Transport Finance Company limited. Automatic deregistration for 15 years old vehicles? Scraping old vehicles has become a long debated issue now. Union Ministry for Road Transport is all set to introduce a new norm which would prevent the plying of 15-year old vehicles. As per the proposed system, all 15-year-old vehicles would automatically be de-registered. The only procedure vehicle owners need is to get a renewed fitness certificate after 15 years of registration to run the vehicle. Scooters, largely considered an urban phenomenon, are seeing increasing acceptability in rural markets as well. Improving road network is one of the major triggers for growth in scooter sales in such markets. At most dealerships in rural areas, two of every 10 two-wheelers sold are now scooters, against just one a couple of years ago. Thus scooter has become 5 million units market. Scooters registered growth of 11.8% to sale 50,31,675 units in 2015-16 against 45,00,812 units. Scooters now form 30 per cent of the domestic two-wheeler market. Honda Motorcycle and Scooter India, which enjoys a 55 per cent share in the domestic scooter market. Hero MotoCorp’s Splendor has maintained its legacy to rule the two wheeler market by selling 24,86,065 units in 2015-16. However, Splendor has been followed by Honda Motorcycle & Scooter India’s (HMSI) flagship scooter Activa very closely as it has sold 24,66,350 units. Hero MotoCorp dominated the Top 10 two-wheelers list with four products. Honda, TVS and Bajaj are having two models each in the list. Domestic passenger vehicle sales in the financial year ended on March 2016 registered a growth of 7.87 percent, driven by new model launches and heavy discounts. Domestic car sales stood at 20,25,479 units in 2015-16 as compared with 18,77,706 units in the 2014-15. While the new launches performed pretty well for the industry, some of the established brands failed to impress the Indian consumers. The list of ten least selling cars saw four new entrants, Fiat Linea, Fiat Avventura, Chevrolet Sail UVa, and Hyundai Elantra. Datsun the brand which Nissan revived three years ago to boost its sales number in India has not been able to perform to the expectation of the company with only a couple of models launched in India. Now with the launch of its all new Redi Go in the Indian market at a competitive price of Rs 2.5 lakh and Rs 4.4 lakh, the car will directly compete with the likes of Maruti Alto & Hyundai Eon. "We are a two-year-old brand. We could have done better with sales of the GO but our understanding of the market is evolving," said Guillaume Sicard, president of Nissan India Operations. "With the redi-GO, we will target the Alto segment. We will ramp up our distribution and increase network coverage to target customers." The new car features a familiar hexagonal grille sleek headlamps, separate LED DRLs on the bumper, 185 mm ground clearance, while the rear-end features vertical taillamps, contoured tailgate and separate reflectors on the lower bumper. The car comes with a 5-speed manual transmission and comes with a 0.8 liter 3 cylinder petrol engine that offers best in class mileage as promised by the company. The company aims at capturing 5% market share together with its partner Nissan by 2020. With the upcoming competitive launches by new & market leaders automakers the passenger car market will continue to grow at a healthy speed in the new FY as well, meanwhile if you are looking to acquire a used passenger vehicle than Shriram Automall is the right place to come. The company offers widest range of used cars of all make & models under one roof. 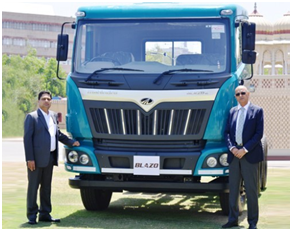 Mahindra Truck and Bus Division that unveiled its all new Blazo series of haulage trucks during the Auto Expo 2016 has launched the series in its best performing state of Rajasthan (Jaipur). The series was launched by Mr. R. C. Mangal, Senior VP, Sales and Marketing and Mr. Nalin Mehta, CEO, Mahindra Trucks and Bus division. Mahindra growth has been increased by 63% in 2015 and the company acquired close to 5% share in the state. Mahindra has also rapidly expanded its after sales network with 75 3S dealerships, 90 Authorized Service Centers, 2900 Roadside Assistance service points and Retail Spares network of 1777 outlets which will give Blazo the required boost. The truck series is equipped with latest features including Fuel Smart Technology that guarantees superior mileage over the competition and offers a multi drive mode which is generally seen in passenger vehicles. There are three modes available for drive to switch - Turbo, Heavy and Light, depending on the load and road conditions, thus improving fuel efficiency. With the new launch Mahindra is aiming to capture a larger share in the commercial vehicle segment and is all set to give a tight competition to rivals like Tata & Ashok Leyland. Meanwhile if you are looking to buy used trucks in Rajasthan than paying a visit to Shriram Automall will certainly help you as the company offers the widest range of used trucks of all make & models in good condition at competitive price. Delhi government in its bet to combat the rising air pollution in the city announced the odd even scheme for 15 days taking cues from those implemented in Beijing. The scheme allowed only odd number vehicles on odd dates & even on even dates. The result was a sharp decline in city traffic even at the peak hours & significant reduction in pollution percentage. Though many studies have shown different results on the pollution reduction, the CM is positive about it as the sale of crude oil dipped to 40% less during the period. Now the government has decided to implement the scheme again from April 15 to April 30 amidst the positive response received by the people of Delhi. The scheme is to be implemented with same rules & regulations; bikers, single women drivers, important people of government including VIPs, Lok Sabha speaker etc. & CNG cars are exempted from the rule. The government is taking other measures to check air pollution in the city including introduction of luxury buses with increased frequency to popularize public transport and vacuum cleaning of the roads, he added. 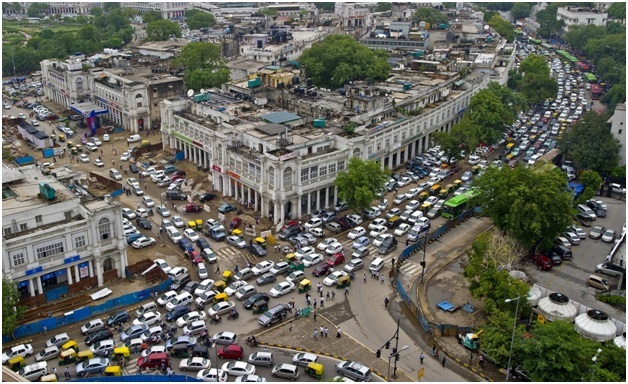 On the contrast as per a study conducted by School of Planning and Architecture (SPA) several commuters are ready to buy a new car if the scheme is fully implemented in Delhi, however majority of commuters will take public transport and help lower both pollution & congestion. It remains unclear to see what will happen if the scheme is implemented in full force in Delhi. However Shriram Automall has come up with an interesting solution for people to escape the low like a boss. The company offers easy exchange of your used patrol or diesel car with a used CNG car option. Visit the nearest Automallsat Narela, Manesar or Sohna locations for more details. The Indian automobile industry has crossed the important milestone of notching domestic sales of over 2 Cr units for the first time ever. However, Indian automobile industry has witnessed low single digit growth of 3.78 per cent to sale 20,469,385 units in FY 2015-16 against 1,97,52,580 units in FY 2014-15. Fiscal year 2016-17 is expected to be better in terms of overall performance as the auto sector consolidates on the gains of FY’16 and builds further. A number of new model launches and refreshes planned by carmakers should see more action at ground zero. The ongoing diesel car ban which was enforced in December 2015 to March 31 2016 has been further extended to end of April now. The three-judge bench led by the Chief Justice of India, TS Thakur, said that it would lift the ban only if carmakers agree to a one-time environment cess. 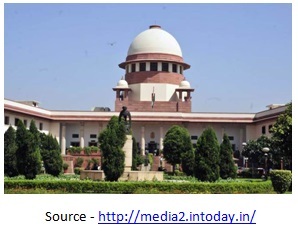 The Supreme Court of India has banned diesel vehicles of more than 2000 cc in the national capital region as a measure to combat pollution in the city. The bench also asked the Central & Delhi government to examine the claim by automobile companies that modern diesel engines don’t cause more pollution than petrol engines since they work on superior technology. 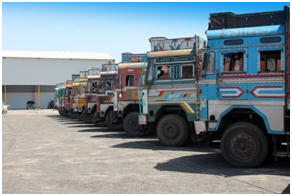 The bench in December 2015 also banned the entry of large commercial vehicles like trucks, lohry etc. in the city after which 400,000 trucks had been diverted from Delhi and Rs 152 crore collected as cess which will be used to combat pollution & make greener roads. It has also extended the deadline for private taxi operators to switch to CNG from diesel by another month. Automakers like Toyota & Mercedes which were hit highest by the decision are not happy as most of their cars stock has been piling up at the dealerships in Delhi. While the diesel car ban continues in Delhi you can now exchange your old diesel car & buy a new pre-owned petrol or CNG car at Shriram Automall, the company offers most extensive range of pre-owned cars with petrol & CNG engine options to choose from. The light commercial segment that was hit badly due to the economic slowdown & low rural demand is now showing the signs of revival in last few months. In February the segment grew by almost 10% when compared to the same month in 2015. The sales stood at 33,324 units, whereas Feb 2015 sales were 30,382 units. As per the ICRA rating agency the growth is here to stay. According to a report on Indian commercial vehicle industry, the outlook for the LCV segment is improving on back of low-base and improving viability. "We expect that the demand is likely to pick-up in FY 2017 on back of expectation of replacement-led demand (i.e. three years of declining sales), some pre-buying ahead of the implementation of BS-IV norms (by April 2017) and gradual improvement in viability on back of lower diesel prices," the report said. Contradicting the earlier prediction of decline by 2-4% now the segment is all set to grow by 10% approx by the end of FY 2016-17. The overall commercial vehicle segment is showing a positive outlook & growth can be seen in all segments. The M&HCV (Truck) segment has registered a growth of 30.6% in the first 11 months of FY 2016. ICRA also expects the domestic industry volumes to recover in the near-term on back of expectation of fresh permits by some of the key states like Maharashtra in Q4 FY 2016. Accordingly, industry volumes are expected to recover and grow by 8-10 percent in the domestic market in FY 2017. 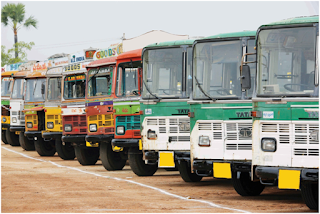 Meanwhile the industry is hopeful of achieving the desired growth the outlook for used commercial vehicles also ride high as the segment continues to perform well even in the bad day. Now when we have the industry pundits predicting growth in new CVs the used commercial vehicle will outgrow the numbers significantly. In conclusion if you are looking ahead to buy a used Commercial Vehicle than visiting Shriram Automall will turn out to be a good decision as the company offers a wide range of used CVs under one roof at competitive price. Couple of days after the state budget of Delhi was announced; the Society of Indian Automobile Industry (SIAM) hailed the budget & said it is a big boost towards sustainable mobility of the state & urged other cities to come up with similar or better initiatives to promote sustainable mobility in their respective states. “Budget of Delhi aims to boost the public transportation system, The Delhi government is all set to introduce 1000 new non-ac busses. It will invest a significant amount of Rs. 325 Cr. towards it which will translate into lesser use of personal transport for daily commuting leading to less congestion on roads” said Society of Indian Automobile Manufacturers (SIAM) in a statement. The budget also paid attention towards welcoming more electric vehicles in the state as it exempts the road tax on registration of electric & hybrid vehicles & also reduce the VAT rate from 12.5% to 5% on battery operated transport means including e-rickshaw, battery operated vehicle and hybrid automobile. Welcoming the state government's plans to acquire new buses, it said: "These steps in totality would lead to a more robust public transport system. SIAM believes that these steps taken towards strengthening the public transport system would go a long way in addressing the issue of traffic on road." With these new initiatives by the government we are certain that the people of Delhi would love to reap benefit out of the new rule & buy more electric vehicles to trim down the pollution which is today a major life threat around the world. If you are looking to buy a used hybrid car in Delhi than paying a visit to Shriram Automall would help as the company offers the most extensive line up of used hybrid cars & CNG cars under a single roof. Tesla motors famous for its unique electric cars that offer luxury at its best is all set to enter India in 2018. The decision came after the visit of Prime Minister Narendra Modi to Tesla Factory in the Silicon Valley in 2015 and with the launch of its all new Model 3. Elon Musk, CEO of Tesla Motors announced that it will bring its latest Model 3 to India at a price range of approx. Rs. 50 Lakhs, the car is said to be the most affordable & effective offering by the company that has already backed 2,32,000 pre-orders. The electric car promises a driving range of at least 215 miles (346 km) on full charge and claims a 0-60 mph (0-97 km/h) acceleration time of less than six seconds. The model 3 will come in both rear and front wheel drive versions, and there's a 15-inch landscape touch-screen inside — an interesting change from the 17-inch portrait touch-screen in the Model S and X. Autopilot is standard and all the safety features will be active automatically, the car can accommodate 5 people comfortably. India launch of model 3 will be giving a big boost to the country’s aim to become 100% electric vehicle nation by 2030. As per the early reports many India business tycoons have also placed the pre-order of the car by paying $1000 as they believe the car to be future of automotive industry & wish to contribute their part towards a green society. The car will only come to India in 2018, meanwhile you can contribute your part for a green society by buy a used CNG car from Shriram Automall, the company offers a wide range of used CNG cars that omits less pollution when compared to the diesel or petrol engine cars.